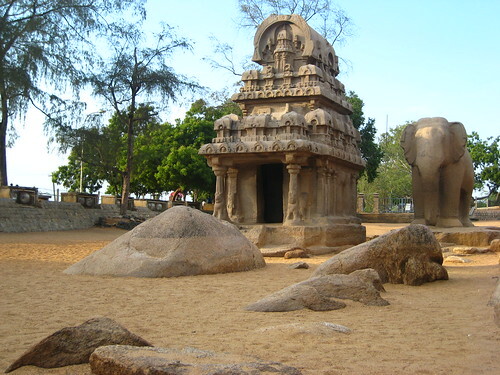 Though called Pandava Rathas, these monolithic temples cut from a huge rock by the innovative Narasimhavarman I (AD 630 – 668) have nothing to do with the Mahabharata. 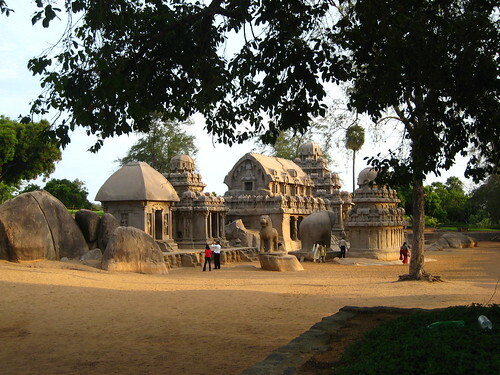 Besides the six rathas (Pandavas + Draupadi), there are sculptures of an elephant and lion. Having been to the places you are currently touring some 10 years back, it is refreshing to see them again. Thanks! The last time I was in Mahabalipuram was around 15 years back and a lot has changed. The camera I use is Canon SD800 Point and Shoot. The major convenience is that you can put it in your shirt pocket so that it is easily available when you want to click.